Former FAI chief John Delaney will still be paid a six-figure salary in his new role with the organisation, Independent.ie has learned. The football association has refused to give details of his new payment entitlements, other than to say he has taken a "substantial reduction" on the €360,000 he has been receiving as CEO. However, it is understood Delaney’s role as Executive Vice President will come with a salary in the region of €120,000. 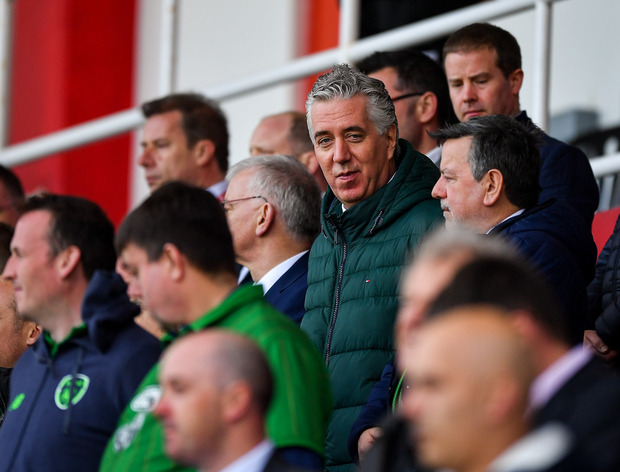 In a shock move last night, it was announced that Delaney was stepping down as the CEO of the FAI and will now take up the role of Executive Vice President.